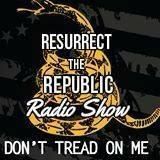 Join us on Resurrect the Republic Truth Radio Broadcast (RTRTruthMedia.blogspot.com) on Monday 9 to 11 pm CST. We will cover the unjust incarceration of Christian Eddie Ray Kahn who has spent 14 years in prison for openly challenging the constitutionality of the Internal Revenue Service. We will have very special guests Eddie's wife Kookie Kahn and Rod Remelin on tonight's broadcast. We all need to learn how the IRS has targeted our innocent brother. Hebrews 13:3 tells us to remember ... See More our brothers in bonds as if they are ourselves. Please join us and educate yourself about Eddie Ray Kahn and learn how the IRS has become unchained from the constitution and an enemy to Freedom loving people. It is our duty to put this rabid dog back on the chain and help our brother Eddie while he goes through this tribulation.